Public life these days gives us plenty to argue about, whether with colleagues, real-life friends or Facebook acquaintances. One of the nice things sports can do is give us a shared feeling of common purpose. And this week, no matter where we went to school, we can all be University at Buffalo basketball fans. 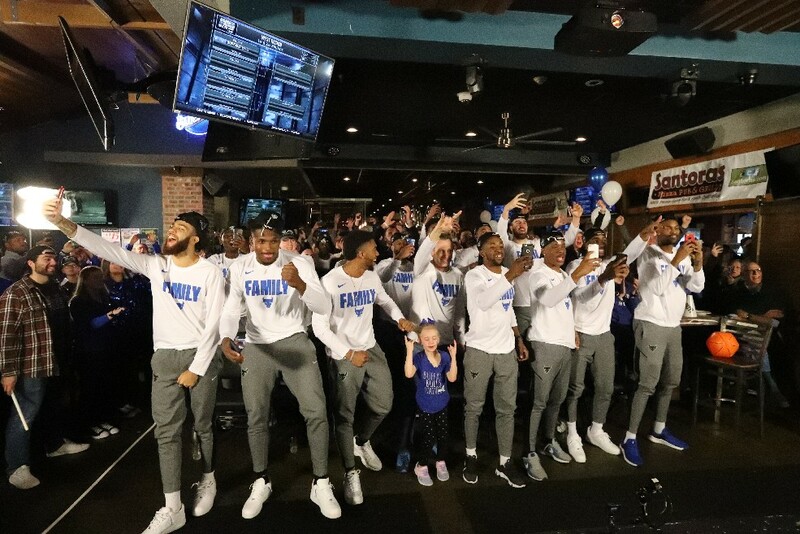 Both UB teams, the men and women, became Mid-American Conference champions on Saturday in Cleveland, not only hoisting trophies but earning automatic bids into their respective NCAA tournaments. The “Big Dance” is a chance to expose their programs to national TV audiences, which makes landing new recruits a little easier, which helps these ultra-successful programs to stay that way. The UB men are heading to Tulsa, Okla., where on Friday they will play the winner of an Arizona State-St. John’s play-in game. The women found out Monday afternoon they will be taking on Rutgers in their first-round game, to be played Friday in Storrs, Conn.
There’s a lot of anticipation for the NCAAs, but it’s worth savoring each team’s shining moments in Cleveland. There was coach Felisha Legette-Jack, never one to mask her emotions, sharing a tearful hug at midcourt with guard Hanna Hall, who scored 17 points in the championship game win over Ohio. Bulls star Cierra Dillard earned MVP honors in the tournament, while homegrown forward Summer Hemphill (Cardinal O’Hara) grabbed 21 rebounds in the title game, a MAC Tournament record. Men’s coach Nate Oats was surrounded by his players as he cut down the nets in Cleveland. Guard Jeremy Harris led the win over Bowling Green with 31 points, while MAC Player of the Year CJ Massinburg scored 17. The men’s and women’s teams turned the floor at Quicken Loans Arena into a sea of blue and white as they came together for a joint celebration, rewarding their thousands of fans who made the trip down the Thruway. Call them the twin peaks of Buffalo sports, two programs enjoying a run of success that is the envy of our now struggling professional teams. The women’s team, with a 23-9 record, won their second MAC Tournament championship in four seasons, and will make their third NCAA appearance in that span. Last year’s Bulls made it to the Sweet Sixteen. The men’s team is 31-3, a MAC record for wins in a season in men’s basketball. The Bulls have won four MAC championships (and NCAA berths) since 2015. Under the category of “no good deed goes unpunished,” mid-major programs that enjoy this much success will often see their coaches recruited away by bigger-budget schools in the power conferences. That’s what happened to Oats’ predecessor in the men’s job, Bobby Hurley, who left for Arizona State. That the Bulls’ first game could be against Hurley’s Sun Devils on Friday makes for a great storyline. UB recently gave Oats a contract extension that makes him the highest-paid coach in the MAC. We can only hope that will keep him in Buffalo for a few more years, and that Legette-Jack keeps Bulls blue coursing through her veins. Both coaches, of course, could be hired away, which is all the more reason to enjoy the runs their teams are on now. A berth in the Big Dance can be like a sugar rush, spiking our emotions before an eventual letdown. And yet the women’s version of the Bulls won two NCAA games last year. The men were first-round winners in 2018, also, upsetting fourth-seeded Arizona. It’s time to fasten our seatbelts and enjoy the ride.